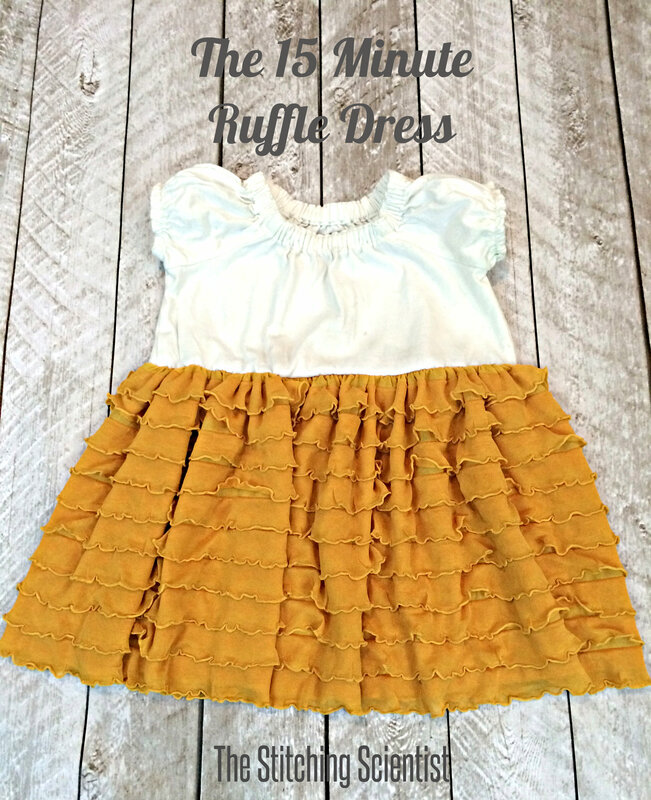 I saw this ruffle dress at Nordstrom and fell in love with it. However, I wasnt willing to pay $65 for it, knowing I could re-create something similar for a fraction of the cost. This dress seriously took less than 15 minutes to make. It only took 3 simple steps and Mila was running around in her ruffles. 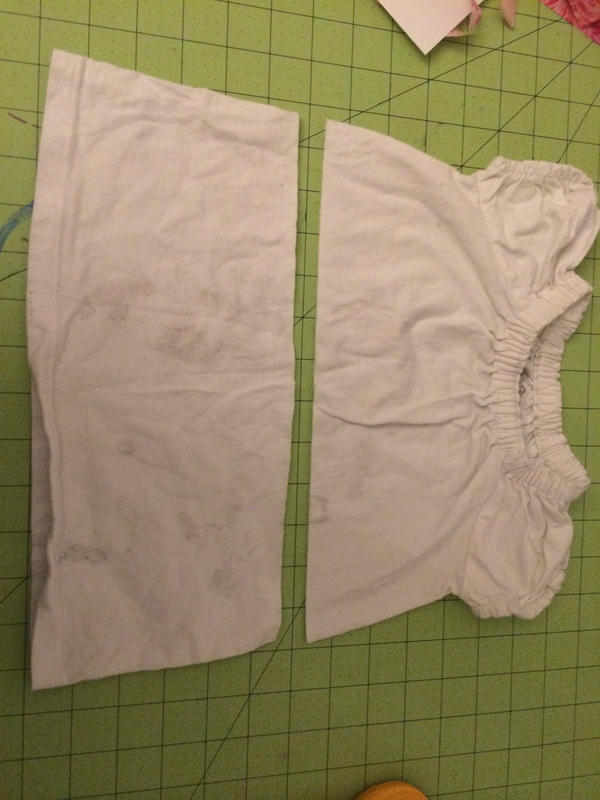 This pattern is a simple t-shirt and skirt dress. 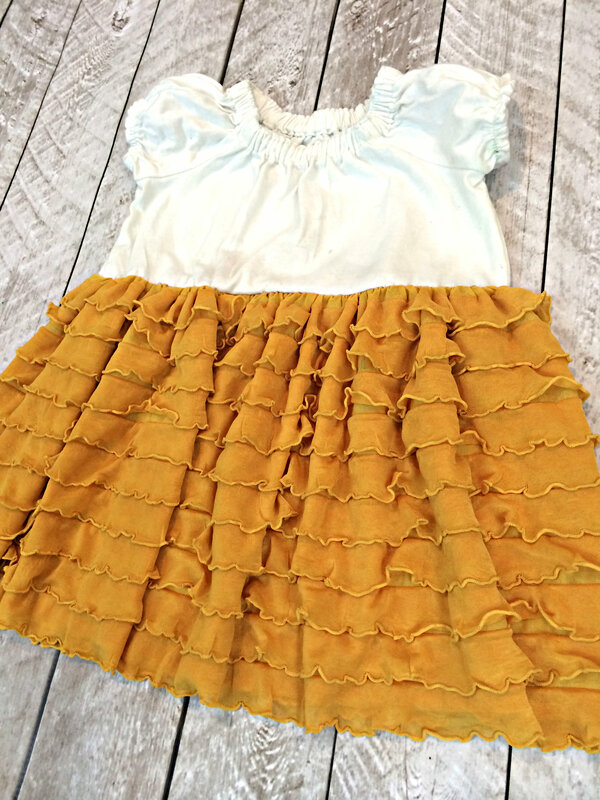 The trick is to use stretch ruffle fabric for the bottom so you don’t have to made a ton of ruffles (not my favorite thing to do). 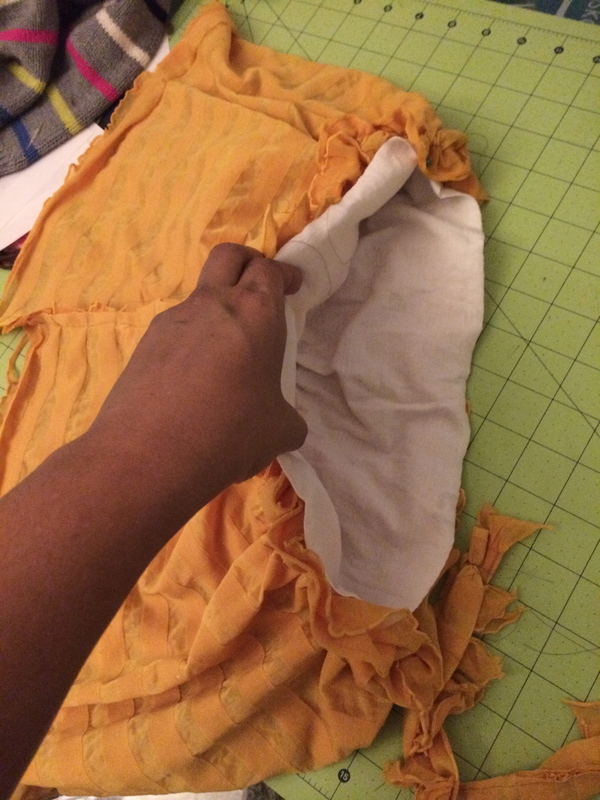 Since knit fabric doesn’t fray, it’s a simple cut, align and sew process. Here is the Nordstrom Dress and here is the one I made. Here is mine! 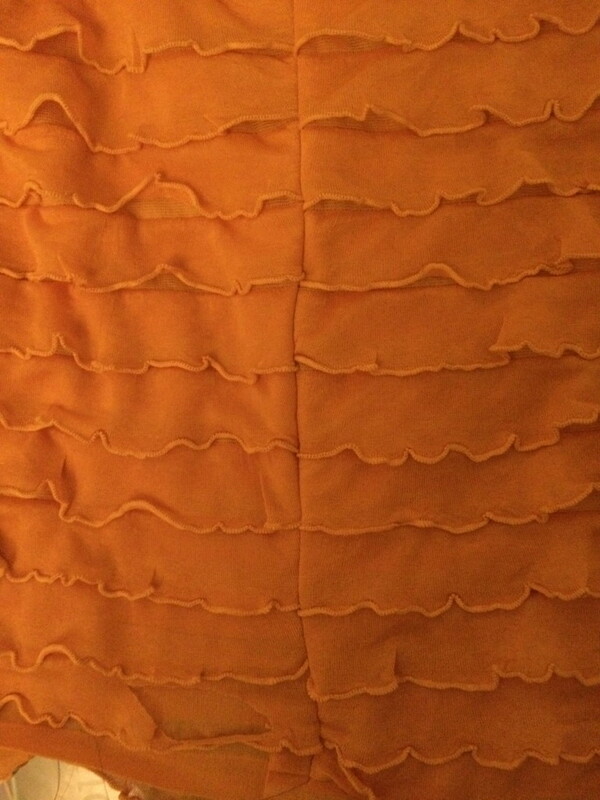 I actually wanted a red and white dress for christmas but I found this yellow fabric in my scraps and decided to use it. I really love how it turned out. I decided to leave out the bow in front. I thought it looked a lot simpler and less frilly without the bow. Maybe I will change my mind and add it later. Take your stretch ruffle fabric and cut about 2X the circumference of the bottom of your cut t-shirt. The length is up to you, based on how long you want the dress. 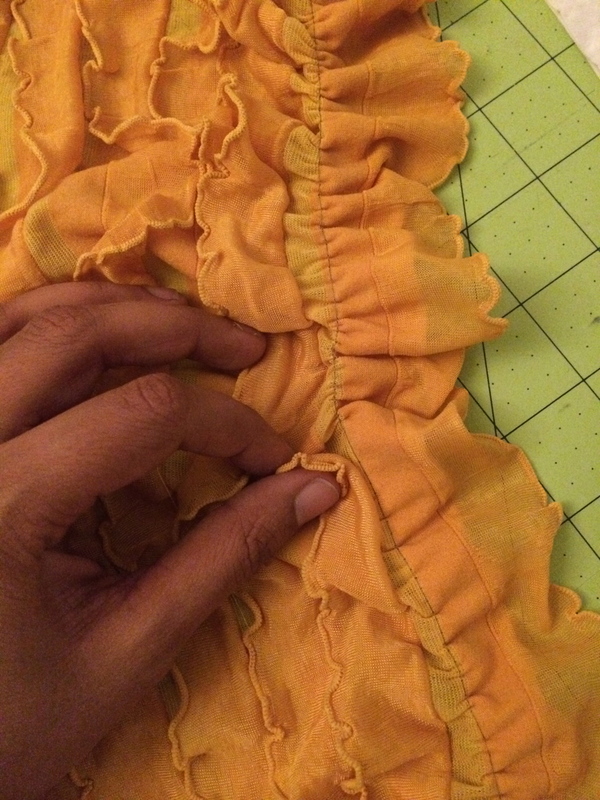 Fold your ruffle in half and sew down, making sure your ruffles align when you sew. 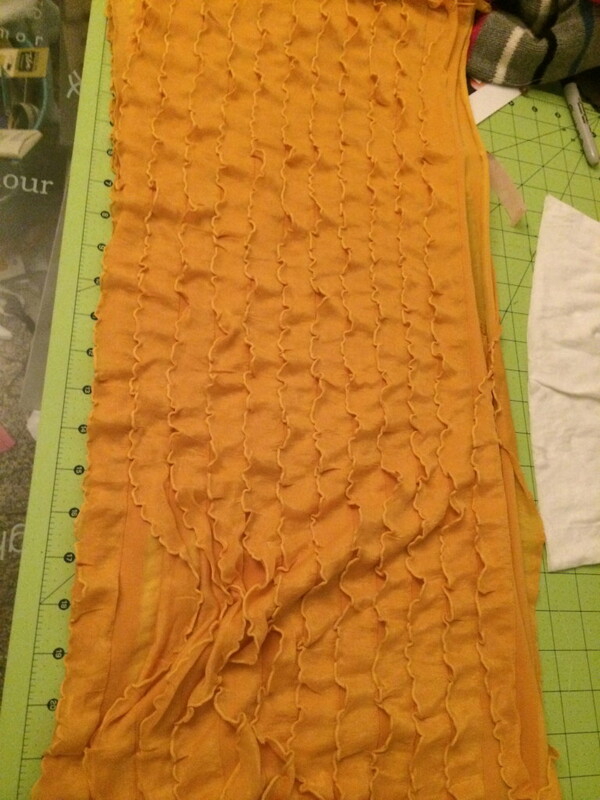 Now, set your stitch length to the longest length and sew the top of the skirt about 1/2″ down from the top. 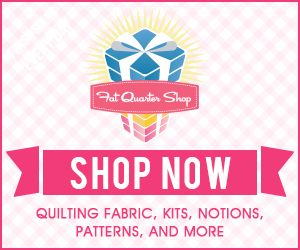 This fabric practically gathers itself when you sew with a long stitch length. After that, gather to fit the bottom of your t-shirt aligning the back seam of the skirt to the back of the t-shirt. Pin and sew down with fabrics right side together. 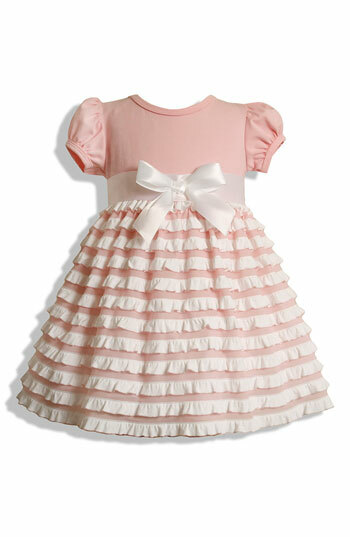 You dont need to worry about fraying since these fabrics doesnt fray. Thats it, you are done. You dont need to hem.